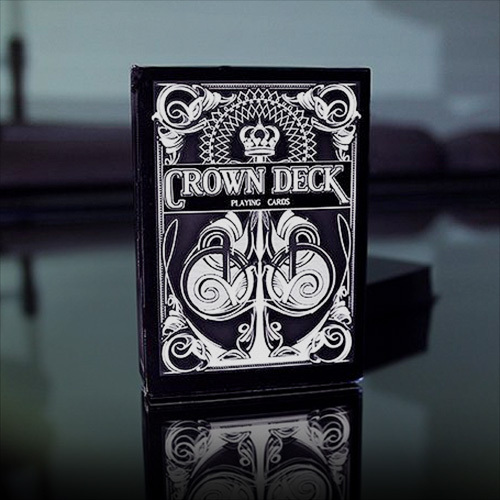 The Black Crown Deck is designed to evoke quality, elegance, and style. The Crown Deck has a Tally-Ho inspired back design and Arrco faces to offer a timeless appeal. Top quality stock and finish for ultimate handling and longevity. Each Crown Deck is printed by the US Playing Card company using high-quality stock and finish to ensure lasting quality, durability, and handling superiority. The result is a deck that feels as good as it looks, and will add a touch of class to your magic, flourishes, and poker games. • The cards are in poker size. Αυτό το προϊόν προστέθηκε στον κατάλογό μας την Saturday 24 December, 2016.